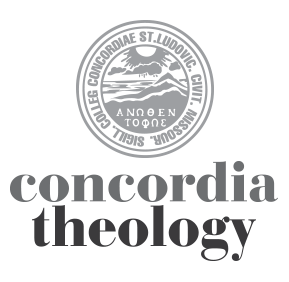 Concordia Seminary, St. Louis, will host its winter 2011 Lay Bible Institute from 7:00 p.m. to 9:00 p.m. on Wednesday evenings, Jan. 12, 19, 26, & Feb. 2 in Sieck Hall on the Seminary campus. “400 Years of Bibles and Battles: From the King James to Modern Translations” will be presented by Dr. Jeffrey Kloha, professor at Concordia Seminary. The translation authorized by King James appeared in 1611. Even then there was controversy regarding the best translation, and since then scholars, churchmen, and politicians have debated — often bitterly — over which translation best communicates God’s Word. These sessions will look at the history of the development of the Bible in English, analyze the differences among versions, and help sort out the strengths and weaknesses of different translations. This will be the first event at Concordia Seminary to mark the 400th anniversary of the King James Bible. More importantly, with the innumerable translations of the Bible available today, it will equip participants to evaluate different translations available now and into the future. To register for the Lay Bible Institute, please call 314-505-7486 between 7:30 a.m. and 4:00 p.m., Monday-Friday, or e-mail ce@csl.edu. The cost is $30 per person and includes all handouts and refreshments. Registration deadline is Jan. 4. Concordia Seminary is located at 801 Seminary Place, in Clayton, Mo. You can preview the sessions and listen to the audio at that site. If you would like to download the files, though, you will need to have iTunes installed on your computer. Then you can simply click on the “View in iTunes” links.